Property 5: Riverside Vacation Homes WHITE RIVER! by BULL SHOALS DAM & LAKE! Property 8: Riverside Vacation Home WHITE RIVER! by BULL SHOALS DAM & LAKE! Property 10: Riverfront Cotter House w/Spacious Deck & Hot Tub! Property 11: Luxury Home with Amazing Views Overlooking White River! Property 24: NEW! Cotter Rock Cottage, Historic Cotter AR. Near River "Trout Capital USA"
Property 26: Flippin House Across the Street from White River! Property 28: Beautiful Riverfront Location. Great Fishing. Wonderful Accommodations. Property 30: Great SPRING AND SUMMER RATES IN OUR 5 STAR COTTER CABIN CHOICE DATES! Property 37: Briarwood Cabin, overlooking Lake Norfork near Mountain Home, Arkansas. 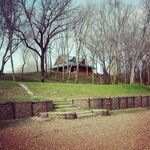 Property 38: Fall Creek Cabins family friendly 1 mile from Lake Norfork and Mountain Home Ar. Property 40: Fall Creek Cabins family friendly 1 mile from Lake Norfork and Mountain Home Ar. 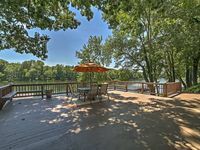 Property 48: Cozy Waterfront Cottage w/Deck on the White River! Property 50: A Simply View-Ti-Ful place to vacation! Great spot and great setup. Everything you could want for a few days on the White River....even in the COLD! Really comfortable king bed in the master, everything you need in the kitchen, and nothing beats the deck overlooking the river and the boat dock for you or your guide to have easy access. Multiple room heaters to stave off the chill downstairs for your early morning shower. Great towels too!! Thanks.